Scottish sculptor Rob Mulholland has created a ghostly art installation in the woodland walk at the David Marshall Lodge in Scotland titled Vestige. 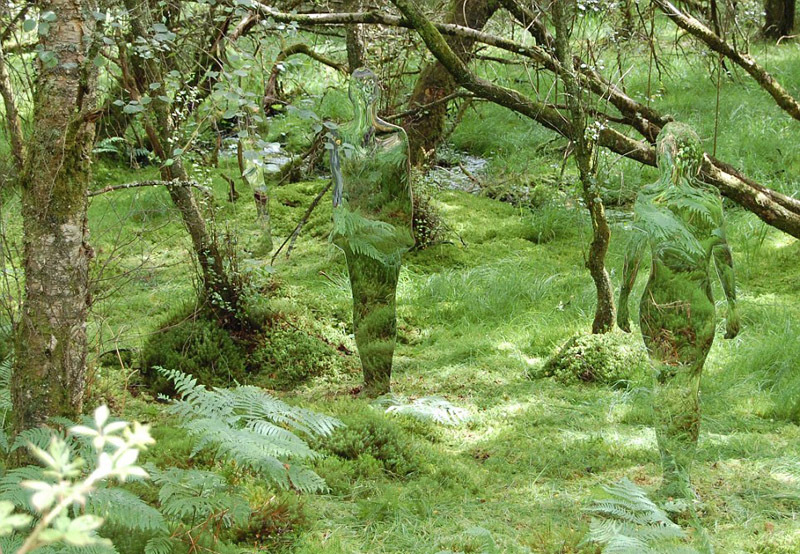 Originally intended to be temporary, the six mirrored life-size silhouettes (three men and three women) have been so popular that they are now to become a permanent fixture in the previously inhabited woodlands. Mulholland’s idea behind the installation seems twofold: 1) to create a vestige of the people who once occupied the land until following World War I, when they were re-located while forests were planted to generate timber and; 2) to make people ‘reflect’ upon man’s impact on the nature. 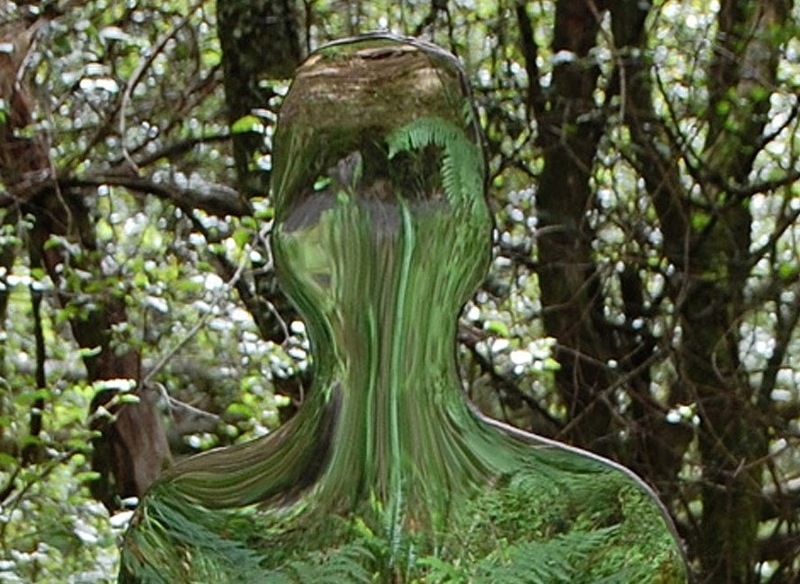 The almost imperceptible sculptures camouflaged by their surroundings have an eerie quality that has been compared by many to the predator in the 1980s film of the same name that seamlessly blends into its surroundings. Photos courtesy of the artist and The Daily Mail. Hermoso me encanta la idea parece parte de la naturaleza como con vida! WOW!!! I LOVE THIS !! I want one I my house! What a genius. Extremely profound in theory and execution. What a wonderful remembrance to the military men and women that served in the military. Thank you so much. E’ un lavoro vibrante. Risuona in me , lo sento ‘mio’… per quella particolare relazione uomo natura mi viene in mente l’opera di Giuseppe Penone. Grazie , mi piace tantissimo!